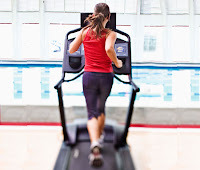 Whether the weather has made running outside impossible, or you're a gym rat by nature, running on a treadmill is a great way to burn calories, keep your heart healthy, and tone up your lower body. 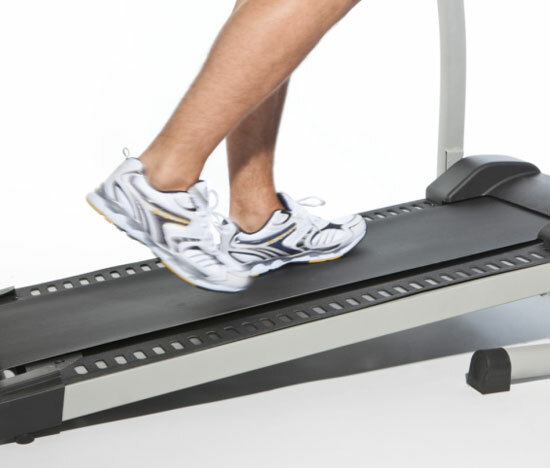 If you want more from your workouts, try these tips the next time you hop on the moving belt. Pumping up the incline will not only help prevent shin splints, but it also tones your tush, thighs, and calves while burning extra calories. 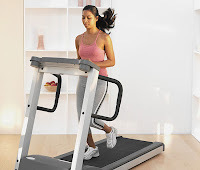 After a 30-minute workout at a 10-minute-per-mile pace, you'll burn 270 calories with no incline, 363 with a five percent incline, 420 with a 10 percent incline, and 482 with a 15 percent incline (crazy steep, I know). On long, slow runs when you need to take it easy, it's great to travel along at a consistent pace. 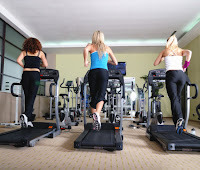 But during your intense workouts, take advantage of intervals. 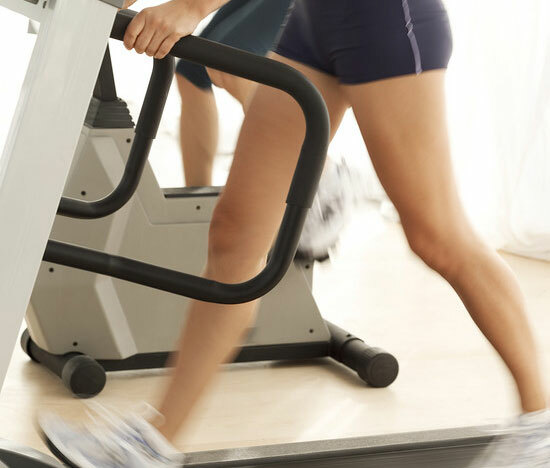 By alternating between running a few minutes at a moderate pace, and throwing in sprinting bursts, you'll end up burning more calories, building your endurance, and becoming a faster, stronger runner. Not to mention, intervals have also been proven to fight belly fat. Whether you prefer chugging along at a consistent speed or doing intervals, to get the most out of your workouts, you've got to make continued progress. One way to do that is to gradually increase your speed. Don't jump from 10-minute miles to eight-minute miles because you could seriously hurt yourself. Instead increase your pace just slightly so your body has time to adjust. 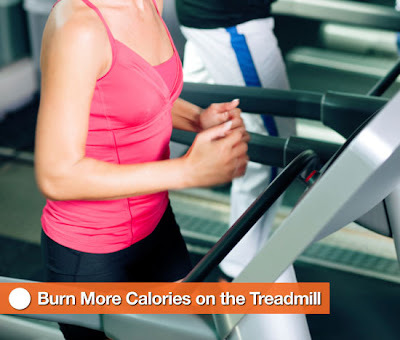 If you hit the gym with a buddy, do your workouts on side-by-side treadmills. You can use one another's energy for motivation to run faster or longer than you would if you were alone. 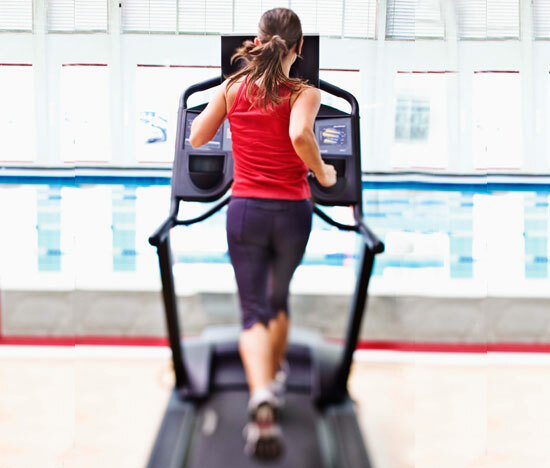 If you're at the gym solo, find a stranger on a treadmill to secretly race with. You should be moving at a pace that's fast enough to get your heart and muscles working, but not so speedy that you have to hold on in order to prevent falling. When you release your grasp of the handles, it allows you to swing your arms, which will not only burn more calories, but will also tone your core and upper body. Holding on can also contribute to bad posture, which can lead to back and shoulder pain.